Welsh rugby region the Ospreys have announced that they have signed Justin Tipuric on a contract that will keep him at the Liberty Stadium until 2018. The news was described by Ospreys management as “a significant statement of intent”, following speculation in recent weeks linking Tipuric with big money moves to England and France. 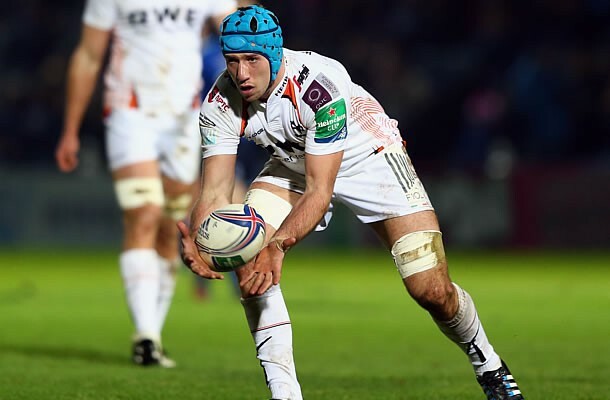 Speaking after putting pen to paper on his contract, Tipuric said,”I’m just incredibly happy to have sorted this out so that I can focus solely on my rugby. I’m a local boy who is privileged to enjoy playing for my home region, and now I can do that for another three years. “It’s very flattering to be linked with the clubs that I have been, but my focus was always on signing a new contract here. That’s what I always wanted, and that’s what I’ve done. 25-year old Tipuric made his 93rd appearance for the Ospreys at the weekend, five years after making his debut as a second half replacement in an LV= Cup game against Northampton at the Liberty Stadium. 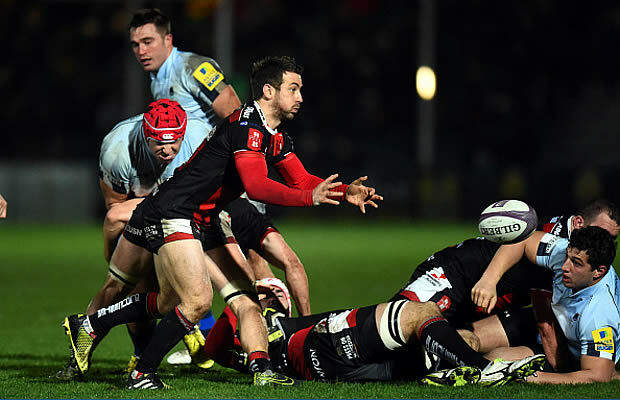 His first start came the following weekend in the same competition, away to Bath, where he also grabbed the first of 11 tries to date. A proud Trebanos boy who still coaches his local club, he became the second youngest ever Ospreys captain when he first led the team at the age of 21 away to Leinster in January 2011. Crowned Elite Youth Player of the Year in 2010, he has since won the Players’ Player award twice (2011 and 2014) as well as being the supporters choice in 2013. His international debut came in August 2011, against Argentina at the Millennium Stadium, and he has played 27 times for Wales to date. He was a victorious 2013 Lions tourist to Australia, featuring off the bench in the series deciding third test. Andrew Millward, Rugby General Manager at the Ospreys, hailed the news, saying,”I’ve no doubt that this news will give everybody involved with the Ospreys, supporters, commercial partners, players, staff and management alike, a huge and very welcome boost. “He’s a player of real quality, who has the characteristics that can make him a really good leader if he continues to develop. He’s very much a role model for any young player in the region, having initially missed out on age-grade selection as a teenager but staying focused, working hard and gaining his rewards. “At 25 he is still very much a young man but he has already achieved a lot in in his career to date. His best days are still ahead of him though, and it’s fantastic that we will benefit from having him here for another three years.